Extensa Notebooks by Acer are designed for everyday tasks. 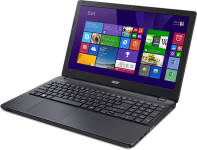 These laptops are perfect for business use as they are ultraportable with a long battery life and slim design. Reliable and efficient, these notebooks have a precision touchpad and comfortable keyboard that ensure maximum productivity. Upgrade your Acer’s Extensa memory today for a boost in both performance and efficiency.